Highlights behind the scenes and frow. 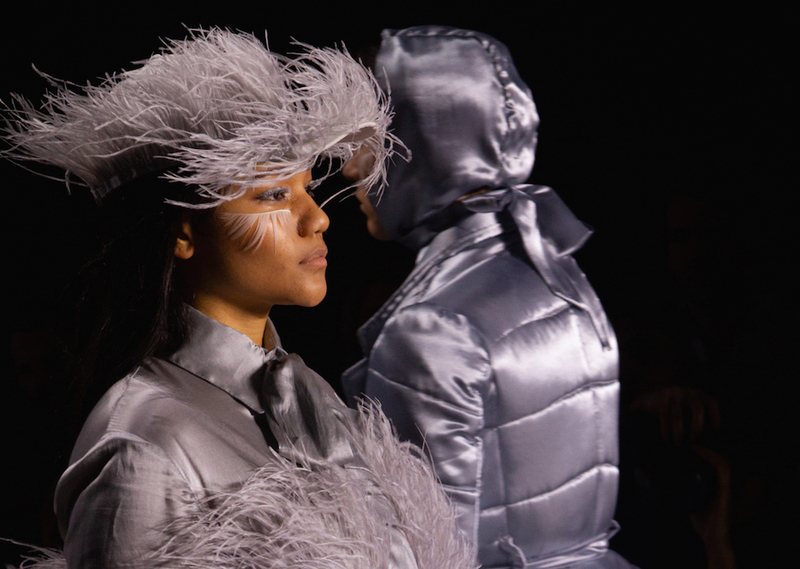 Young designer Allessandro Trincone flaunts genderless looks for Fall 2019 NYFW. 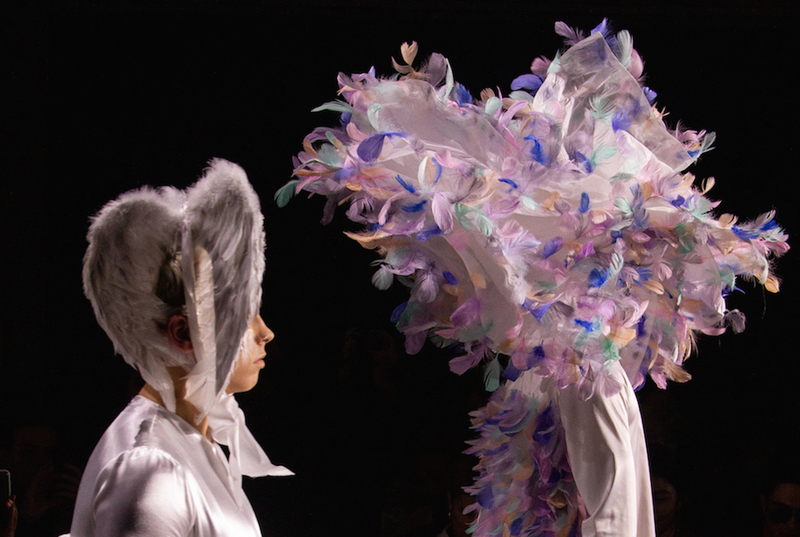 A parade of Feathered, voluminous, and baby doll looks were fluttering on the catwalk in shades of pale. 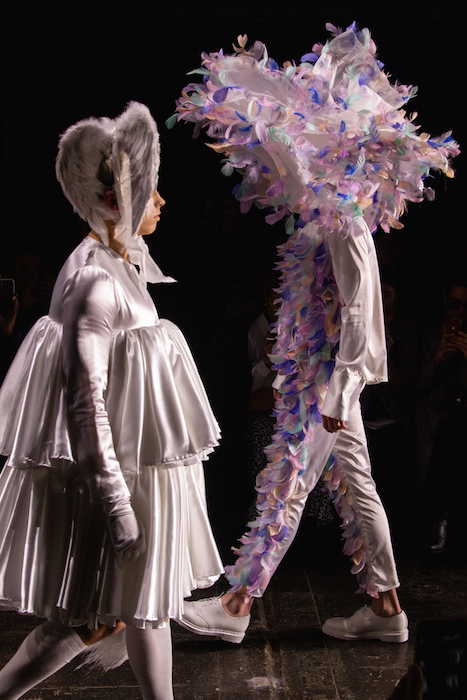 from the editor: While genderless fashion seems to be a growing trend amongst young designers and fashion weeks, the YAY message is the relevant take-away. 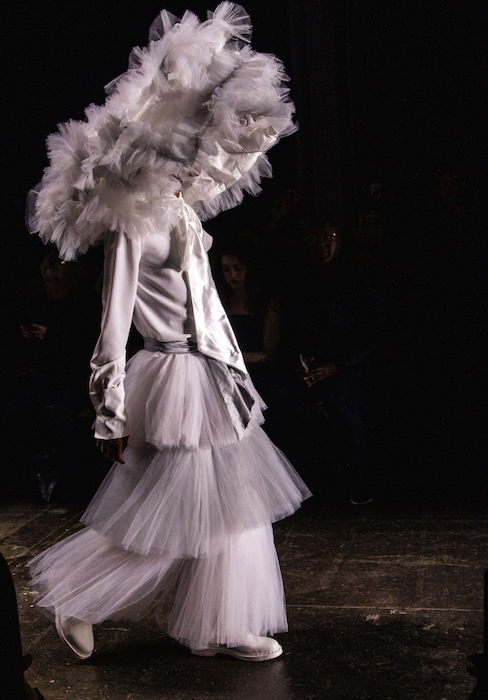 Whether the overly feathered + frankly way too voluminous looks may seem less than practical, the burst of bold moves on the catwalk is exactly what we’re craving at Fashion Weeks. Now how these funky looks will transition into the reality of selling the regular public may be at question, but the courage of putting it out there, and inspiring others to create – is not. Keep doing it, ALESSANDRO TRINCONE! 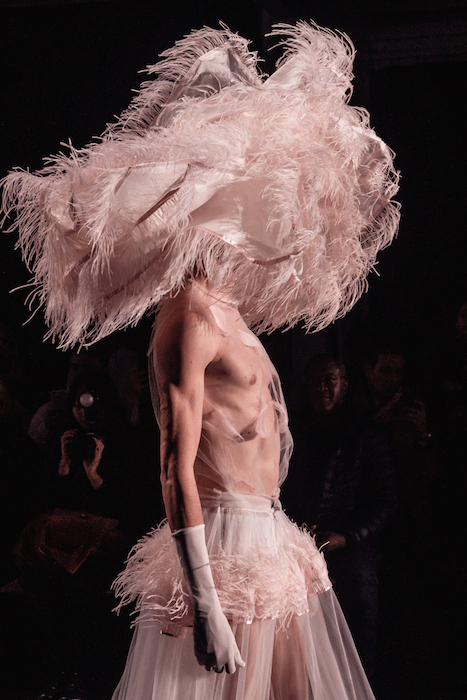 GENDERLESS FASHION: ALESSANDRO TRINCONE fw 19 NYFW story + faves #brigitteseguracurator. edited pics Brigitte Segura .